We all care about animals, whether they are wild or domesticated or live in the ocean or on land. Our world would be nothing without them; humans (we are a animals too) would likely not exist if it were not for the animal kingdom. You probably already know a lot of many different types of animals, both exotic and closer to home. 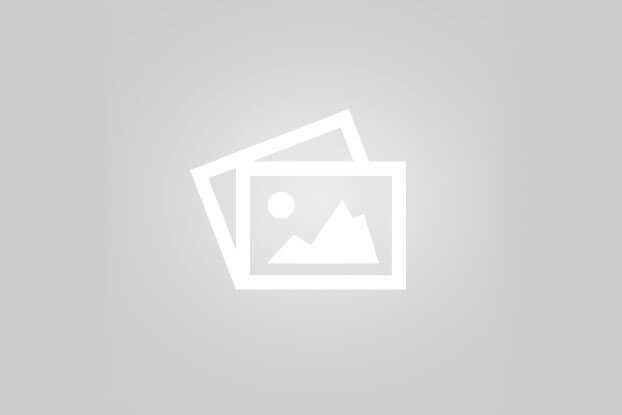 You might be surprised to read some of these fun animal, facts, though! 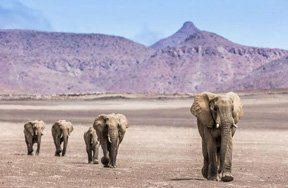 An adult elephant typically eats up to 200-600 pounds of food a day. They're big animals, but that still seems a little excessive. 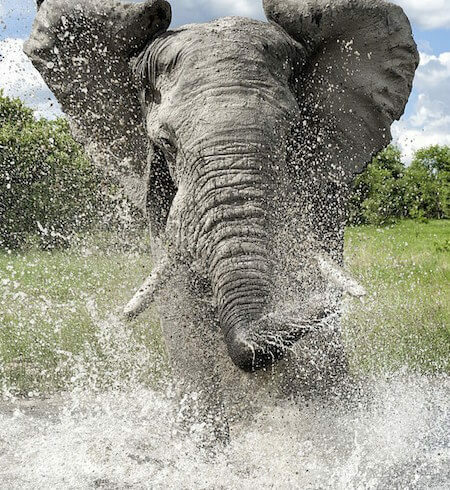 Elephants also drink up to 50 gallons of water per day! That really puts the recommended 8 glasses a day to shame. Do you have a hummingbird feeder in your backyard? Have you ever sat and tried to watch just how fast those little wings beat? Maybe, but it would be impossible for you to count each beat, because a hummingbird's wings flap up to 70 times per second! 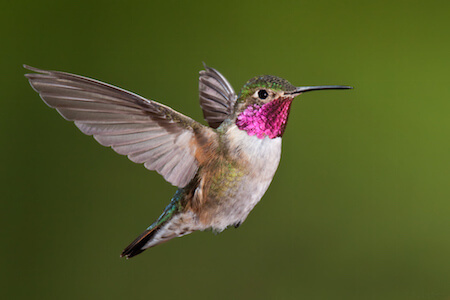 These tiny birds truly are speedy, and it's not just their wings - a hummingbird's heart rate can be up over 1200 beats per minute! That's pretty neat, especially considering that a human heart only beats between 60-100 times per minute. 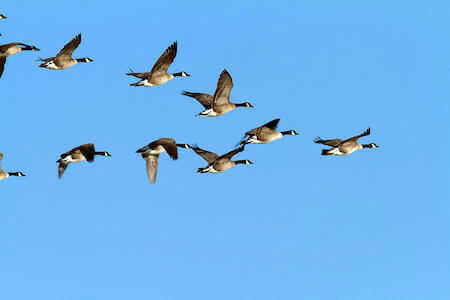 Many birds, like geese, tend to fly in a V formation. There is a great reason behind this: the bird at the head of the V flies hard, which releases drafts of air behind it, which allow for the birds behind to take a little rest. The birds then switch around. This means that one goose may have to work hard for a short time, but another will soon takes its turn as leader, after which the former head of the pack will get to relax a bit. This is a very handy trick when you're flying, as some geese do, over 300 miles per day! We often think of owls as wise, thoughtful birds. Though there certainly is a lot going on in their brains, it may not be as much as we think! 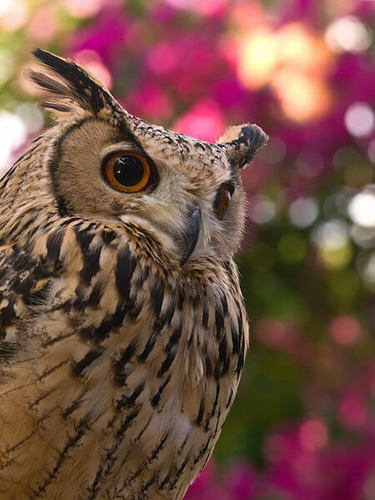 It's possible owls have gained such a reputation for wisdom as a result of their large, watchful eyes. It might come as a shock, then, to learn that many owls' eyes are actually bigger than their brains! If human eyes had the same proportion, we would have eyes as big as grapefruits! Some of these animal facts might be familiar to you, but for a lot of you they are probably new. These really are fun facts - keep them in mind to share with a friend later, or show your parents what you're learning from Kidzworld by relating one of these facts at the dinner table! Do you know any fun facts about your favorite animal? Comment below and share with the other readers!